Dance! Shine! Have a Great Time! So many wonderful events in I’DF@SV 2017. You don’t want to miss it, and we don’t want to miss you. 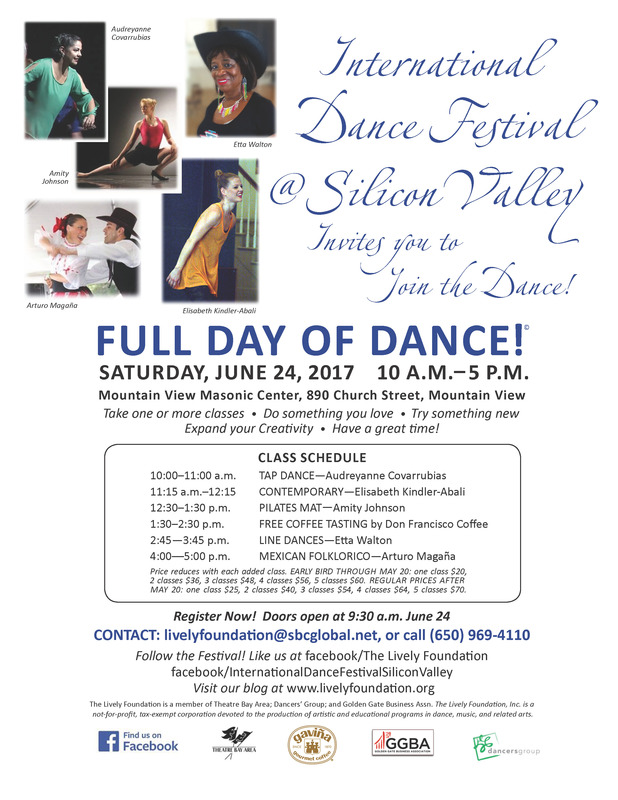 Come to the Full Day of Dance©, enjoy Tap, Contemporary, Pilates, Line Dances, and Mexican Folclorico classes. The flyer with all the Full Day details is right there at the top of this paragraph. You will enjoy every minute. It’s your time to try something new. Absolutely devoted to ballet? Try Elisabeth Kindler-Abali’s contemporary class. Lissi was trained in Germany in both ballet and contemporary techniques. It is extremely rare now for a ballet company not to have contemporary works in its repertory. You will learn more about your body, find your center, acquire expressive ways to move. Ready for something rhythmic and colorful? We’ve got it! Tap, Lines, Folclorico. Click on the flyers to see them full size. Pilates mat class will get you ready for all the other classes. You will find your strength without any strain. Your mind will lead your muscles. You breathe more deeply, stand taller, you will feel GREAT. “Put the Heart Back in Your Art!©” That’s been my slogan for a long time. 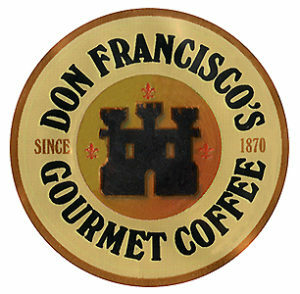 When you come to Full Day of Dance©, be sure to stick around for the FREE COFFEE TASTING, 1;30-2:30 p.m. It’s sponsored by DON FRANCISCO COFFEE. Take time to get to know the other participants and talk with the artist/teachers. We’ll pour Organic coffees by Don Francisco. Relax and then rev up for the afternoon classes: Line Dances with Etta Walton and Mexican Folclorico with Arturo Magaña. I’m excited just writing about them! Perhaps you are a devotee of Bharatanatyam, a serious, classical dance form of India. Remember that laughter is part of the sacred stories behind the dances. Try the Physical Comedy workshop. You will discover new ways to move and find humor inside & out. Walk into walls! Fall down funny! Slap and be slapped! 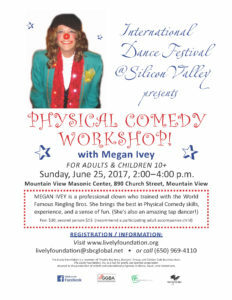 So much to learn and enjoy with Megan Ivey, professional clown trained by Ringling Bros.
International Dance Festival@Silicon Valley offers you time to do what you love and also try something new. SEE YOU THERE!!! Questions? Call The Lively Foundation at 650/969-4110. Pictures: top, Flyer with details of Full Day of Dance©; Don Francisco gourmet coffees logo; flyer with details of the Physical Comedy workshop. This entry was posted in INTERNATIONAL DANCE FESTIVAL-SILICON VALLEY and tagged Arturo Magana, Audreyanne Delgado-Covarrubias, Contemporary Dance, Don Francisco Coffee, Elisabeth Kindler-Abali, Etta Walton, Full Day of Dance, Line Dances, Megan Ivey, Mexican Folklorico dance, Organic Coffee, Physical Comedy workshop, Pilates mat, Tap Dance on June 15, 2017 by Leslie.